Take some time to pamper yourself with an intuitive spa day with this reading specially designed to relax your senses. - You're special! Find out what makes you special! - Smiles and Natural Glow - What would make you happiest right now? - Nourishment - What do you need the most in your life right now? - Candlelight and Bubbles - What makes you relax? 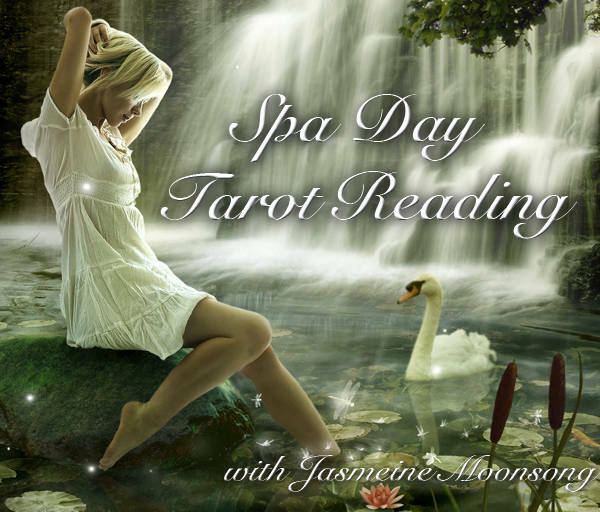 - A Healing Bath - What healing energy is best for you to work with right now? - Wish Upon A Star - What is your special wish today? - Flowers For You - What flower is best for you right now? - Romance - What advice do the Romance Angels have for you? - Loving Guidance - Special Message From Your Guides. - Bonus - Incense and Gemstone recommendation based upon what I see.